Parkway Weekend Getaway by R.V. A two-day trip along the Blue Ridge Plateau from Roanoke (Milepost 120) to the Virginia state line (Milepost 216) is highlighted by intensive exposure to the Blue Ridge cultural landscape. The rural experience on the Parkway and on adjacent lands highlights mills, music, and agriculture, demonstrating how people have interacted with the landscape over time. The opportunity to camp overnight in two iconic Blue Ridge towns will make this a memorable visit. There are many options for picnicking in the Plateau District, including Rocky Knob (Milepost 169). In the area, take the opportunity to hike along the ridge tops with options that include the Picnic Area Loop Trail (Milepost 169, 1.0 miles) or the Black Ridge Trail (Milepost 169, 3.1 miles). After exploring Rocky Knob by foot or in your car, head into Floyd, VA (from VA Rt 8 at Milepost 165, six miles to Floyd) for crafts, shopping, restaurants, and lodging in one of the most eclectic small towns anywhere in the Blue Ridge. 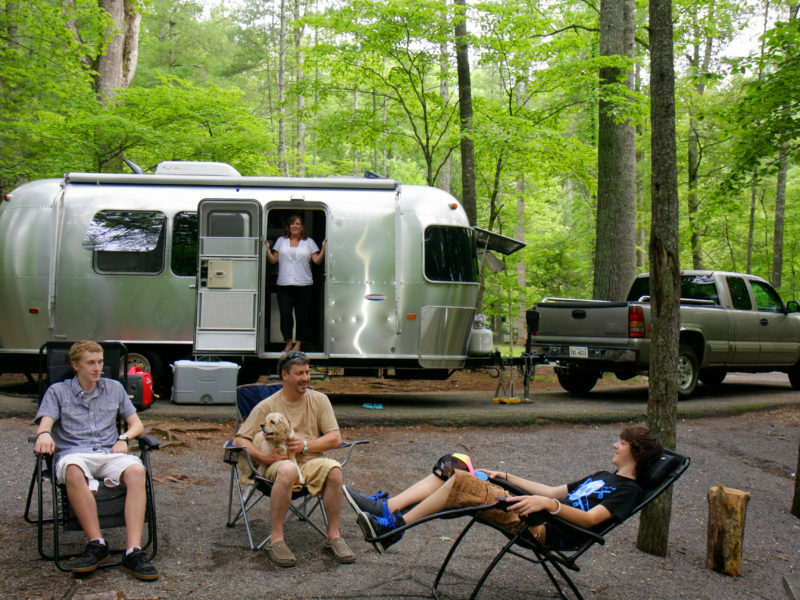 The Chantilly Farm Campground is an excellent and picturesque choice to park your home away from home. Arrive at Mabry Mill (Milepost 176) for buckwheat cakes at the restaurant and a leisurely stroll through Ed Mabry’s mill and blacksmith shop. Demonstrations of Appalachian and Blue Ridge crafts are often highlighted here. Heading south, there are a number of attractions worthy of a short stop. Round Meadow Overlook (Milepost 178) offers a nice short hike (.5 miles) to Round Meadow creek. At Groundhog Mountain Picnic Area (Milepost 188.8) there is a display of the many kinds of wood fences that you may have admired along the Parkway. Just a mile further down the road at Puckett Cabin (Milepost 189.9), the story of the mountain midwife who delivered 1,000 babies in the region. 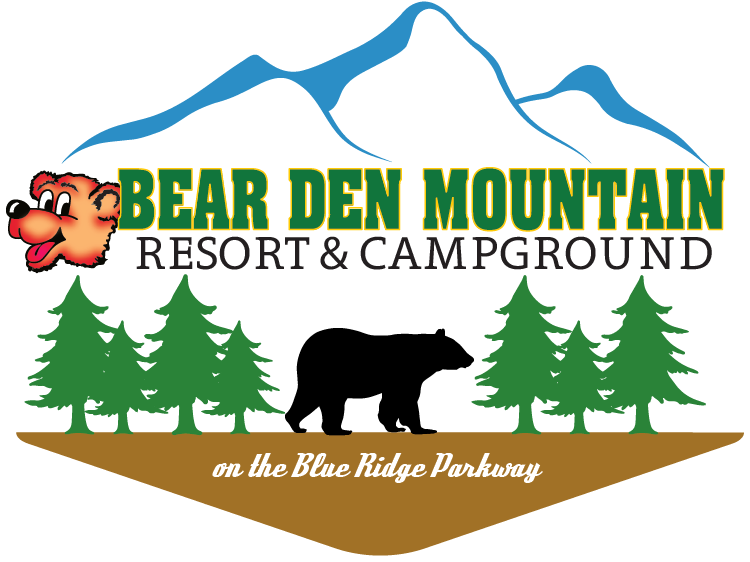 Arriving at the Blue Ridge Music Center (Milepost 213) you can perhaps catch Mountain Midday Music or an outdoor concert (fees may apply) featuring the best bluegrass, old time, and gospel music in the region. At the visitor center, “The Roots of American Music” exhibition provides a thorough historical introduction to the music that is so much a part of the regional experience. The High Meadow Trail (1.35 miles) behind the visitor center takes you through hayfields, wetlands, and an abundance of wildflowers and birds. Galax, Virginia is ten miles away with restaurants and an extraordinary collection of bluegrass and old time music providing a memorable evening. Rest for the night at Cool Breeze Campground for all the amenities you’ve come to expect and close proximity to the Parkway in the morning.